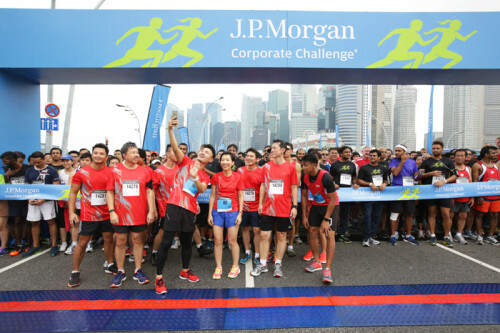 In the 13th edition of the J.P. Morgan Corporate Challenge Singapore, 14,202 employees from 337 companies, including a six-member strong team from Human Resources, took to the streets for a 5.6km run. 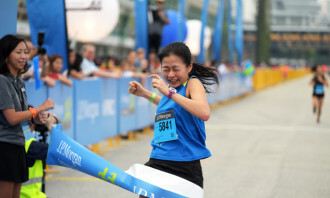 Aileen Tan of MOH Holdings won the women’s title in her first participation of the race (22:01 minutes), while the men’s crown was reclaimed by Jason Lawrence of the Overseas Family School (17:27 minutes), who won the race three years ago. Minister for Culture, Community and Youth, Grace Fu, was present at the occasion, so was Parliamentary Secretary of the Ministry of Culture, Community and Youth, Baey Yam Keng. 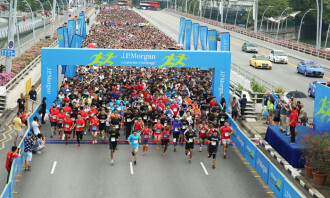 The race began on the Esplanade Bridge and finished adjacent to the F1 Pit Building at Marina Bay, where a race village was set up for runners to network and freshen up. 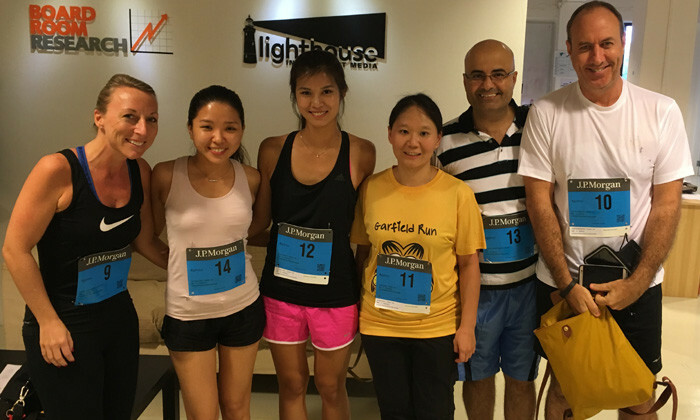 The Human Resources team was led by team captain, Naomi Cranswick, and the runners were Karen Boh, Yogesh Chandiramani, Jaclyn Chua, Justin Randles, and Evon Yew. The team put up a solid performance, with Randles and Cranswick leading the charge. 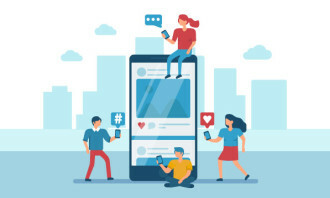 Q. Work-life balance today is not an easy task – how do you, as a leader, inspire your team members to make both work and life work? I make it a point to keep active as it gives me the energy to take on the work day and deal with challenges that may arise. It’s also important that the organisation as whole is supportive and understands the importance of balancing work and life. 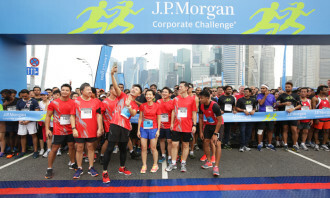 J.P. Morgan is a great believer in happy and healthy employees make for better employees, which means our clients benefit. Q. 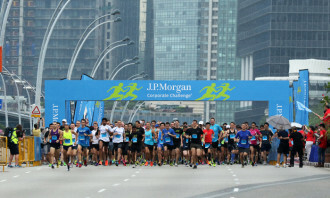 What initiatives does J.P. Morgan have in place to inculcate a culture of health and wellness? 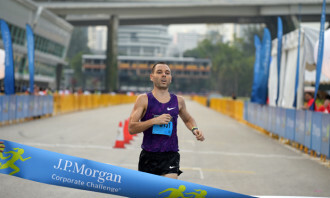 The J.P. Morgan Corporate Challenge is one of the biggest initiatives we have in place to create a culture of health and wellness, and our employees as well as clients look forward to it. It’s heartening to see how the event has helped spread the message and importance of health and wellness in the workplace. Our annual health fairs are a fun and collaborative way for us to stay committed to wellness, providing opportunities for our employees to better understand their own health. We have health professionals on hand to offer consultations, assessments and confidential advice, as well as onsite biometric screening and appointments for individual assessments or consultations. 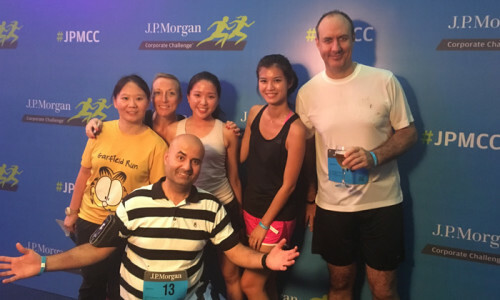 We also have our annual StepUp challenge where we motivate employees to get active and improve their health for the long-term. Q. More importantly, how do you measure the result or ROI of such initiatives? 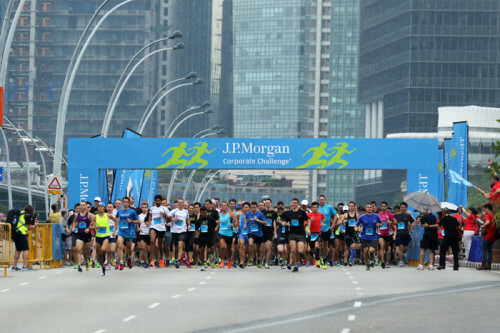 Wellness at J.P. Morgan is a long-term commitment and the healthier each of us is individually, the stronger the firm is as a whole. That’s part of the reason why employee wellness is a key focus at all times. 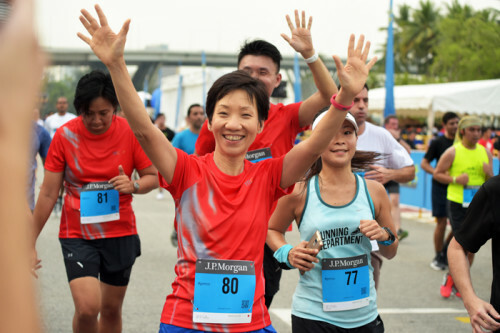 Our focus on wellness initiatives help strengthen our culture and provide excellent networking opportunities for colleagues across all lines of business, while helping to promote greater work life balance. 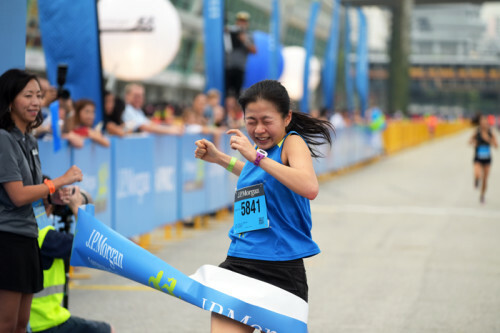 Aileen Tan from the Ministry of Health Holdings was the fastest woman. 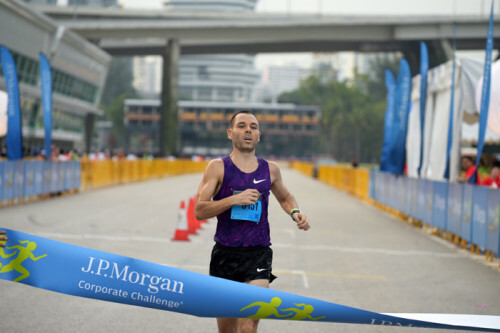 Overseas Family School teacher, Jason Lawrence reclaimed the men’s title. 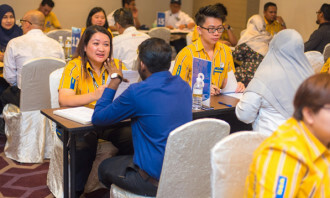 Singapore’s workforce takes a step towards work-life integration. 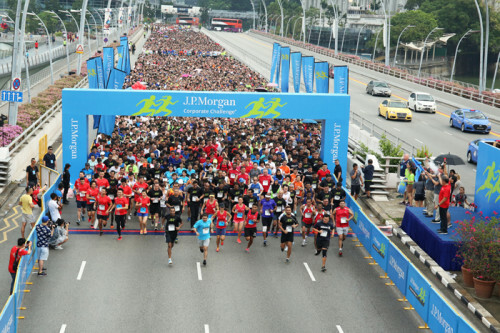 The race started at Esplanade Drive and finished at the F1 Pit Building. 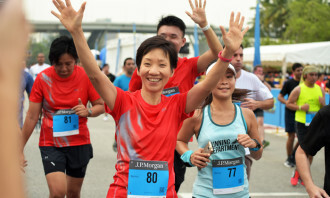 Present were Minister Grace Fu, and Parliamentary Secretary, Baey Yam Keng. 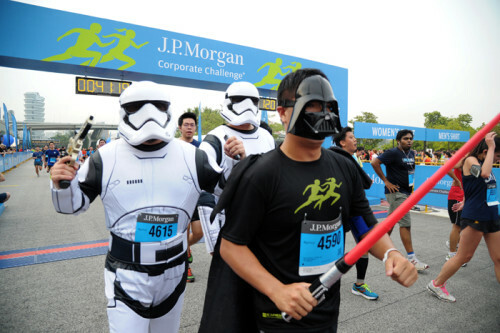 337 companies took the challenge in total. The Human Resources team poses after the race. 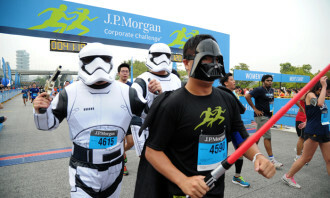 Celebrating May 4th a week early, Star Wars fans dressed up for the race.